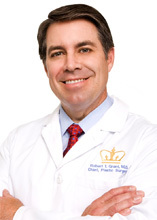 Some of the most exciting changes in the medical field have been in the area of cosmetic surgery. New techniques are constantly evolving to keep up with the ever increasing demand of patients who want to look their best while still appearing natural and healthy. One of the most interesting trends in cosmetic surgery is the introduction of non-surgical procedures. With these procedures, patients who are looking to enhance their beauty can do so quickly and painlessly without the recovery time. Not only are these procedures faster and easier, but they are also more often than not safer than aggressive surgical procedures. A few of the most popular non-surgical procedures involve facial rejuvenation. The following are the top 3 non-invasive facial cosmetic procedures, according to the American Society of Plastic Surgeons (ASPS) 2012 Report. The first and most popular non-surgical procedure is Botox, as use of this injectable has increased by 8% since 2011 with more than 6.1 million injections performed in 2012. Botox is a cosmetic form of botulinum toxin that will temporarily reduce or eliminate fine lines in the face, including frown lines, forehead creases, and crow’s feet. Botox injections temporarily paralyze the muscles associated with wrinkles. By taking the tension out of these muscles, the face ends up looking smoother, younger, and more refreshed. Botox injections have also been found to relieve migraine headaches, help excessive sweating, and reduce muscle spasms in the neck and eyes. While these injections are quick and easy, they should still be performed under the care of a board-certified plastic surgeon. If they are not administered by someone who is properly trained, Botox injections can result in drooping eyelids, facial pain, and muscle weakness — not to mention an unnatural look that patients want to avoid.